The Apple Watch is just 24 hours old now, but if you find yourself having not already spent too much money this week, you can now walk into at least one Apple Store and buy yourself a new charging cable. 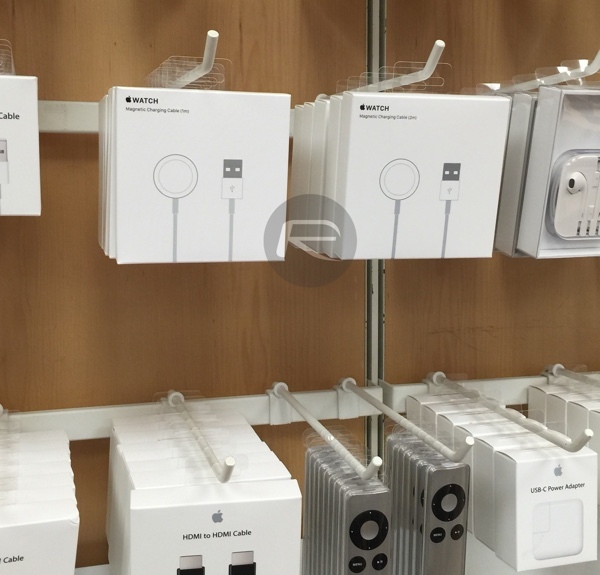 Previously available via Apple’s online store, the Apple Watch’s magnetic (read: MagSafe) charging cable can now be bought from the One Stockton Street San Francisco Apple Store at least, and we suspect the same can be said for Apple Stores around the globe. Available in both 1m and 2m variations, the new magnetic cable is the first inductive charging cable made by Apple and allows the watch to be charged by simply placing it onto a magnetic charging plate at the end of a USB cable. The method chosen by Apple for charging its watch gives us all hope that the next iPhone may sport such a feature, though we’ll have to wait another few months before we get to find out for sure. If you find yourself in need of a new, or extra cable then you can buy the 1m magnetic charging cable for $29 or the 2m variant for an extra $10 at $39. The longer cable could come in very useful, and if you’re buying a new cable then we suggest that may be the way to go anyway. 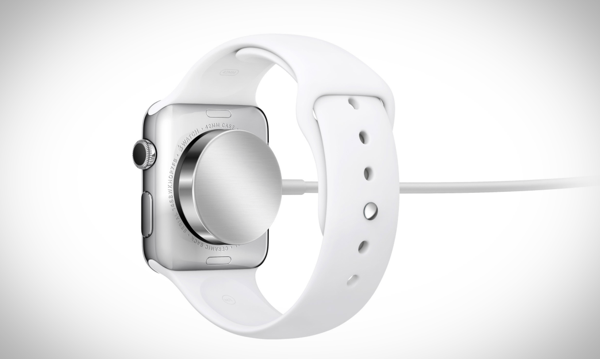 The Apple Watch went on sale this past Friday, with pre-orders being fulfilled for the most part. Many people however found that their watches did not ship in time for launch day, despite Apple’s online ordering system giving them a delivery window that suggested that they might. While we don’t yet know exactly how many Apple Watch units were made, it’s a safe assumption that the launch went well at least on the sales front, if not the logistics.